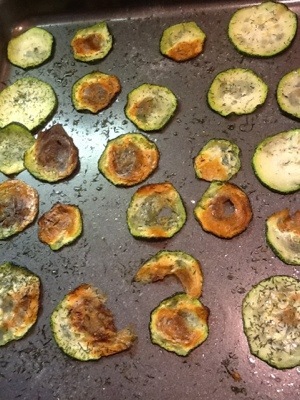 zucchini chips | ARTZCOOL'S BLOG! 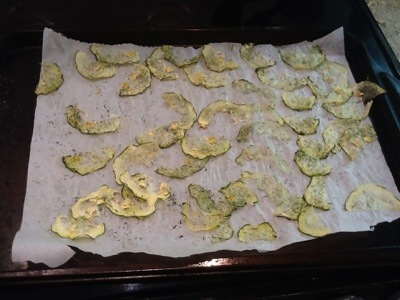 So, today we decided to try a different kind of zucchini chips, breaded zucchini chips. John’s mom shared this recipe with me. 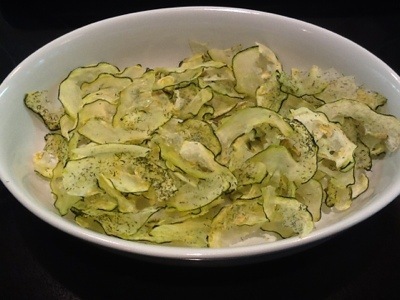 The thing I like about this recipe is you don’t have to brown the zucchini before putting them in the oven, like you have to do with chicken, or veal. 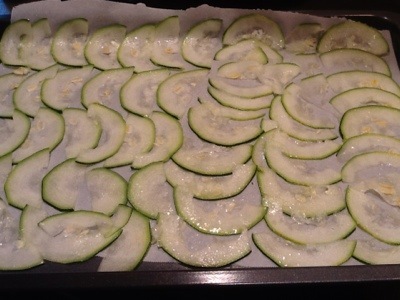 These go straight into the oven. 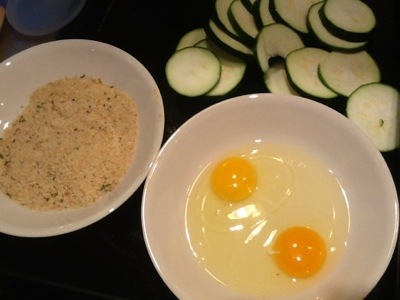 I had some seasoned bread crumbs, regular bread crumbs, eggs, and zucchini. We mixed the two kinds of crumbs together because we found the seasoned crumbs way too salty. We beat the eggs in a small bowl. 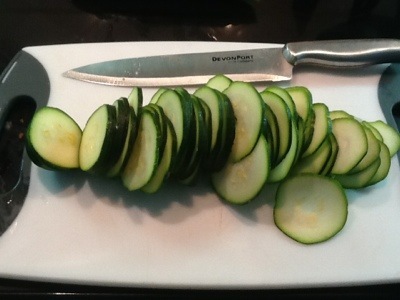 Then, we sliced the zucchini. 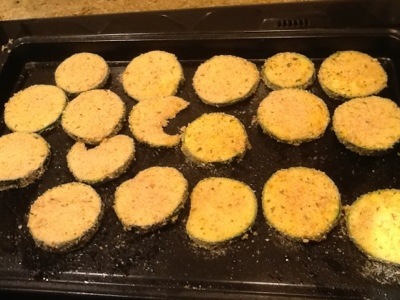 Then placed them on a cookie sheet. These were good, they turned out really well. Crispy on the outside, and cooked on the inside. 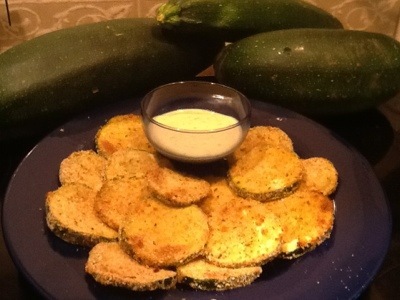 We dipped them in ranch dressing, which the kids loved. I will definitely make these again because they were so easy to make. 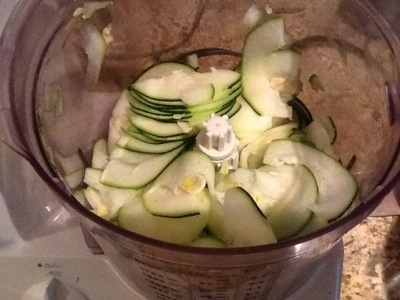 As I have said in a previous post, we are drowning in zucchini right now! 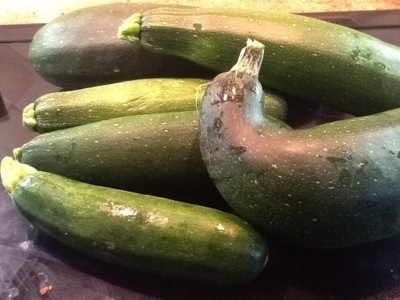 We have so much zucchini, I have been searching for recipes, and ways to cook it. They weren’t burnt, but they cooked far too quickly. So I tried baking a few batches, turning the temperature down each time… 400 degrees is way too hot! I tried another batch at 300 degrees and they browned way too quickly again, and didn’t get crispy. 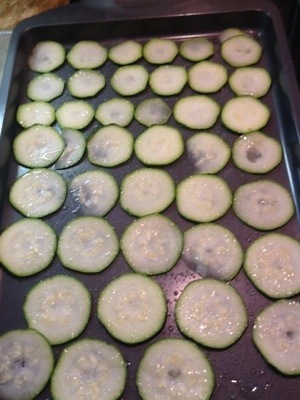 I decided that the temperature was still too hot, and they needed to be sliced thinner. Yahoo, it worked! The chips came out crispy and they tasted good too! The kids liked them too. 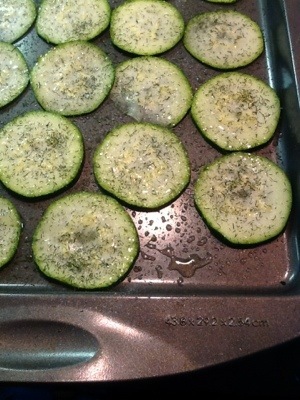 I ended up making one tray plain, and the other with the dill and salt. The dill chips were pretty salty, so I mixed them together with the plain ones, which balanced out the salt. 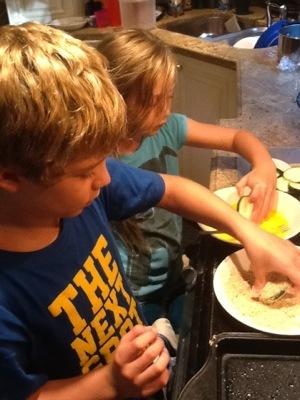 Because they shrink so much when they are cooking, a little salt goes a long way. I tried to save some overnight, but they do not stay crispy, so I had to toss them in the oven again. 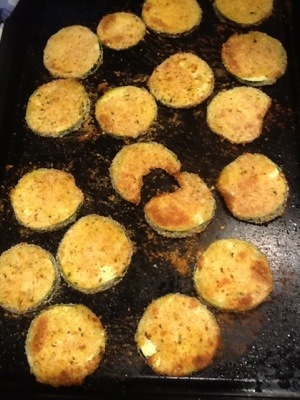 But, five or ten minutes in the oven and they were crispy and fresh again.